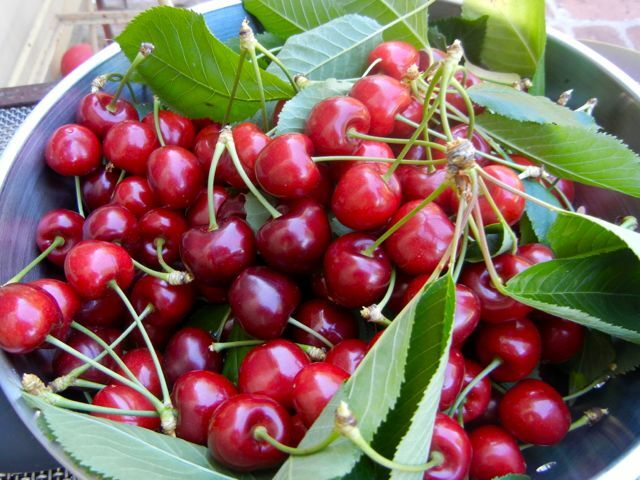 I have a fantastic cherry tree in my garden. But it is really old and tall and the cherries are so high up, I can’t get near them. Very frustrating! I bought one, but it wasn’t long enough. I may have to make another trip to the hardware shop, they look soooo gooood! Oh that’s rough. Good luck! How beautiful. 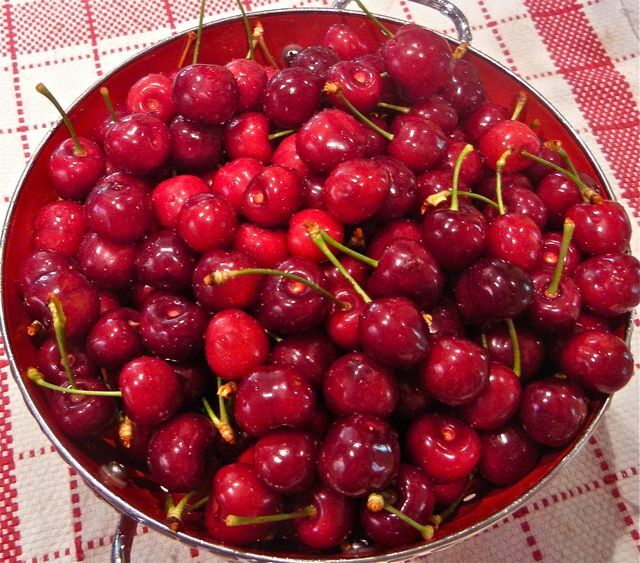 I’m craving fresh cherries! They look gorgeous! Have fun using/eating them!! Those look incredible! There’s something magical about eating food that you’ve grown yourself! Enjoy! Thanks- it is very rewarding (and the cherries taste great). Beautiful! 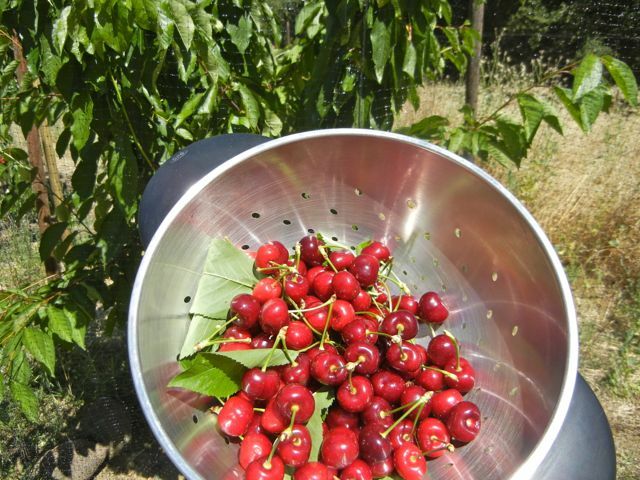 I cannot wait to harvest our cherry trees in July! Those berries …. make my mouth water … stunning photo .. can feel how sweet they are. Thanks for stopping by at my world and welcome back. Thanks…enjoying your posts and humor.. Thank you so much !!! Landed straight into my software. The photos of your harvest look wonderful! 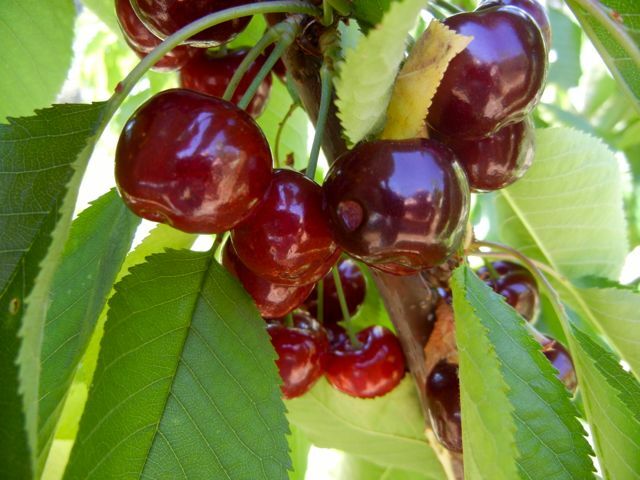 I have happy memories as a kid eating cherries,when they were in season, I would ask my mum for a small bag, she always said yes – there was no way I could ask for sweets but cherries, that was a yes! Exactly! Our eldest has figured it out and he gets plenty of blueberries and cherries.. I want that drink right now! Your cherry harvest looks terrific. I bet there are a few red stains lingering in the kitchen. Not so much an issue of “local” but weather, I guess. If you have the right # of “chill days” it determines what variety will or will not produce fruit. A local garden supply or website helps figure what will work. Then you need a pollinator and a fruit tree…and then the weather still has to cooperate. Oh, those are so lovely! I wish I could pluck one and eat it right now. Thank you for sharing! Thanks for reading! We harvest another batch tomorrow morning! Are you going to make any boozy cherries to preserve for winter cocktails? Funny, just read a post on that- we will have to do it. 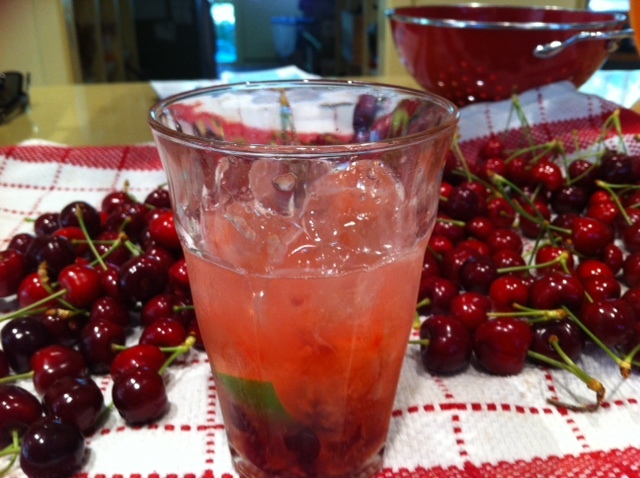 We are up to our eyeballs in bing cherries.